Parcel is in a very high traffic area near the intersection of Atlantic Blvd. and San Pablo Rd. 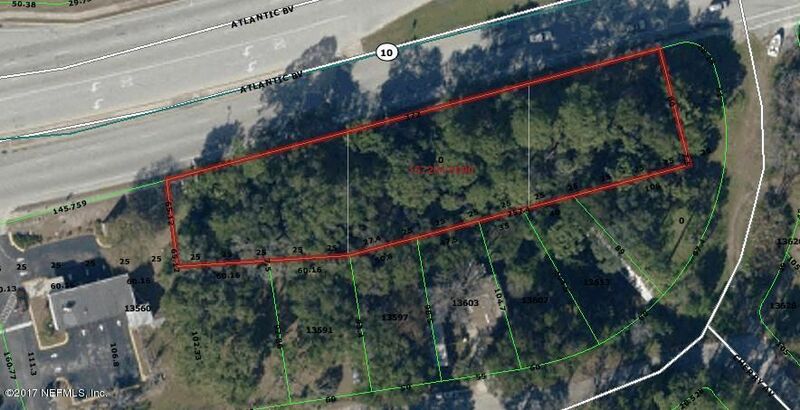 There are other lots available behind our parcel, also commercial land, to make up around 1.5 acres. Looking at all reasonable offers. This home has been on the market since May 10,2018. Courtesy of CENTURY 21 FIRST COAST.